Home > Resources > Others > How to Recover Deleted Call Logs from Nexus 6/5/4? If you missed a phone call from the people who you didn't set as a contact, you will need to check the call history for the phone numbers to communicate with the people. However, what if call history on your phone has been accidentally deleted? Is there any way to recover the call history from your phone? Well, it is actually an easy way for you to recover your deleted and lost call history from your phone. Here in this article, we will set Google Nexus phone as example to show you how to do that. 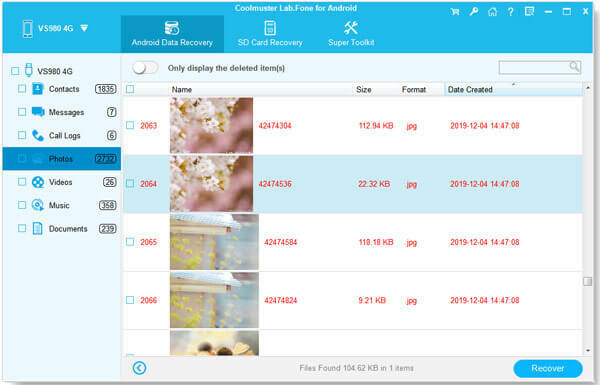 What you need is Coolmuster Android Data Recovery, which is an excellent data recovering tool for Android users to recover deleted and lost Android data, including contacts, text messages, call logs, photos, videos, music and more. It fits almost all Android devices and Android versions. Not only Google Nexus 6/6P/5/5X/4, it also works well for other Android devices, including Samsung, HTC, Motorola, LG, Sony, Huawei, ZTE and so on. Below is the simple guide on restoring lost call history on Google Nexus phones. 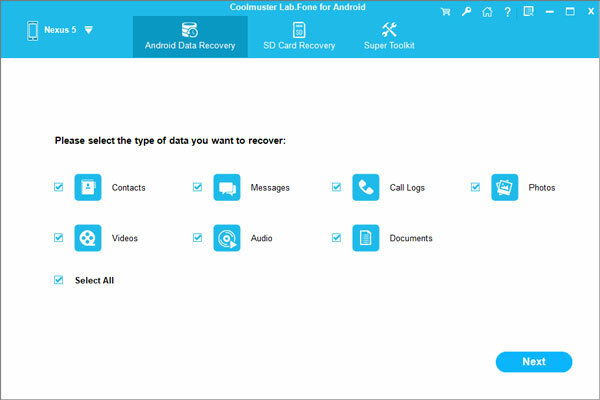 You can download and install the Coolmuster Android Data Recovery on your computer and have a try. When you have downloaded and installed the recommended Android Data Recovery on your computer, launch it and you will be asked to connect your phone to the computer. Just connect your Nexus phone to the computer with the USB cable. Choose the file type you need to recover from the Nexus phone. For call history recovery, just click "Call Logs" and then click on "Next" to let the program scan the Nexus phone for all the lost call logs. All the lost call logs will be scanned and listed in the interface. You are allowed to mark all you want back one by one or just select them all at once. Finally, click "Recover" button to motivate the recovery. Few seconds later, you get all recovered Nexus call history on your computer.